Could Red Dead Redemption 2 be a Trojan Horse? And is Fortnite already full of Greeks with swords? Red Dead Redemption 2 (RDR2) will be the biggest release of the year, and there’s no reason to believe it won’t launch on Steam. Afterall, Rockstar’s Grand Theft Auto 5 (GTA5) has been an evergreen success on Steam, with nearly 10 million players there — and rising. Yet I guarantee that behind closed doors at Rockstar’s parent company Take-Two Interactive, there’s a heated discussion about whether or not to even launch RDR2 there at all. Fortnite is one of the biggest games in the world right now, and in the old days that dominance might have lasted for 3 months. However, right now at Epic Games I’m sure they’re talking about how to convert the success of Fortnite into a decade or more of market dominance. 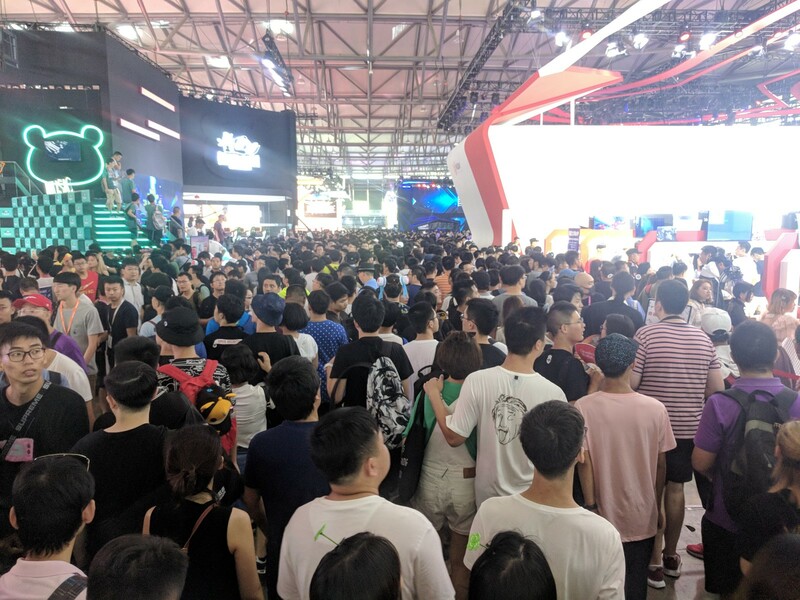 This is just part of one of the 13 crowded halls of ChinaJoy. A couple of weeks ago I got back from a first hand glimpse at the future of game development, courtesy of Chinajoy. China’s games market is huge, fractured, and growing at a mile a minute. Google Play Store (the app store for Android devices in the west) doesn’t exist in China, so what has sprung up in its absence is a myriad of individual app stores : every mobile carrier has one, every handset manufacturer has one, every large games publisher has one, all the main tech companies have one. To release your game in China (as we discovered with Ski Safari) means dealing with a hundred different stores (or more) and their different ways of working. The increasing demand for PC games is resulting in exactly the same thing happening in that space. Some people are using VPN’s to buy games on Steam, some are buying from WeGame (more about that shortly), and every player in the Android market is eyeing the growing PC market as an opportunity. The number of players in the space is large, and increasing by the moment. Three big tech companies dominate the Chinese market : Baidu, Alibaba, and Tencent (BAT). They stand in contrast to the USA’s FAANG group (Facebook, Apple, Amazon, Netflix, Google). 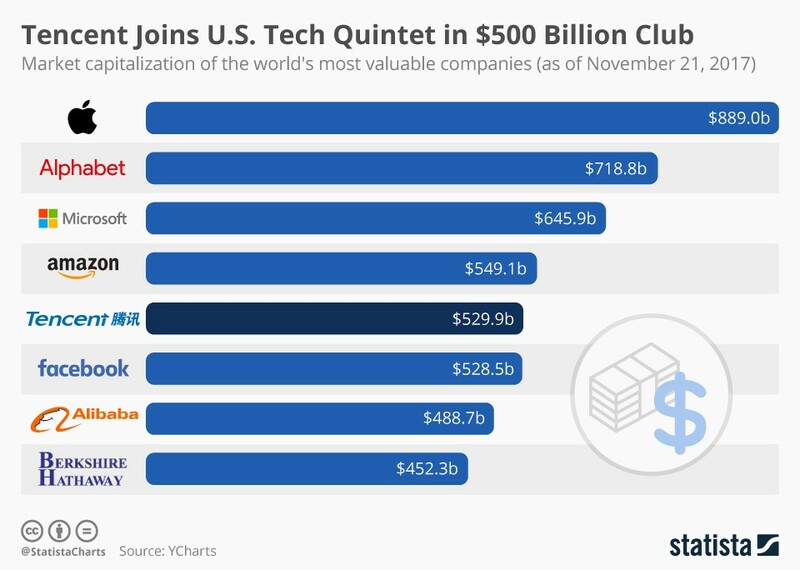 These are all huge and diverse companies (well, maybe not Netflix) who own an enormous number of subsidiaries and do business in a remarkable number of ways but it’s fair to say that Baidu began in search (like Google) and Alibaba began in e-commerce (like Ebay and Amazon put together). Tencent began as a social media company (an ICQ clone) and has since become staunchly a games company — in addition to being the dominant payment processor and social network. Their services WePay, QQ and WeChat fill the niches occupied by Paypal, Twitter and Facebook respectively in the West. Tencent and Alibaba are among the most valuable companies in the world. All of this is just to offer some context. Not only do the BAT companies challenge the FAANG group for market cap, they’re growing fast. As a game developer though, there’s something deeply interesting about seeing a country where one of the three most powerful companies is, in origin and essence, a games company. Games are serious business in China, and nobody thinks otherwise. China is substantially ahead when it comes to developing GAAS (Games as a Service) models, and also when it comes to understanding the value of platforms. Tencent have built their own platforms to support their own games (WeGames) and understand the value that provides. Because they have a dedicated group of users showing up daily, they have the opportunity to sell them new titles. I discussed this in a previous article, where I explained that if you break platforms down they are in essence about distribution and marketing, in that the services they provide are the ability for people to download/play your game, and the ability to show your game to users. The real question is, where do these users come from? And the answer to that is they come for games. There are games that bring people to your platform. Big games. Event games. Steam was built on the back of Half Life, and right now EA is using the power of its game catalogue to build Origin. League of Legends has it’s own launcher, as does Fortnite on PC. Everyone with a solid number of DAUs (Daily Average Users) is thinking about how to use that visibility to help launch their own store. How to turn those eyeballs into new opportunities. After all, if you’re making a game so big that people will seek it out, why would you give 30% of your revenue away? Why wouldn’t you instead begin to think about how to take 30% of other people’s revenue? The announcement that Fortnite for Android will bypass the Google Play store in favour of its own launcher and payment platform marks the beginning of the Chinese model in the west. From here we can expect to see individual app stores arise each offering different selections of titles. All of them will be competing to have the largest number of people logging in each day so that they can be shown and sold new content. It’s worth noting at this point that Tencent owns a large chunk (40%) of Epic games. Epic took the investment in order to better learn how to operate in the world of GAAS, and Tencent was looking to gain insight and influence in the West. With the value of Epic going from around $800M in 2012 to nearly $5B today (and climbing) you’d have to say the relationship has worked out well for both parties. Given the insight that investment has offered Epic into the fast moving Chinese games business, there’s no doubt that they’re looking at their 100M+ Fortnite players as an opportunity to build more than simply a game, but a platform. Why wouldn’t they open up the opportunity to sell games from other developers? Why wouldn’t they reach into the space that Steam has established and begin to compete? More importantly, if you’re one of the companies that spends tens of millions on marketing, why would you drive those users to somebody elses platform? Why wouldn’t you spend that money bringing players to the Fortnite Store, or the Take-Two Store, or the Activision Store? With all that in mind, every publisher must currently be looking at the market and evaluating whether they can continue to use their games, their PR, their marketing and their resources to reach customers that they don’t then own. Not only do you give 30% of your revenue away, but you give a competitor your customer, who they can continue to show more games to, making more money as they go. Why wouldn’t you keep those customers for yourself? A careful look at the statements Epic Games have made recently leaves me no doubt that they see Fortnite as a Trojan Horse for building a platform in the west to rival the strength of WeGames in the East. If you look around, there’s only one other game that has the potential to do that this year and that’s Red Dead Redemption 2. Take-Two Interactive has mastered the art of turning their big, open world, retail blockbusters into GAAS phenomenons. GTAV sold 100 million copies, and has managed to grow bigger each year since its release. Equally certainly, in the boardrooms of Take-Two, Activision and every major publisher the discussion is going on right now - “how can we turn our players into ongoing customers for all of our titles? How can we use our marketing to sell not just our game, but our platform?” The answer to those questions will give us some insight into just how fractured the PC market is going to become over the next ten years. A wealth of new platforms for indie titles. Steam and Humble and GOG can be joined by the Fortnite Store, Activision Online, and Red Dead O Rama amongst a host of other players, some already existing and some new to the “selling other peoples games,” party. That will lead to competition between those stores for developers, and therefore better deals for developers. Tim Sweeny at Epic has already put a very public statement out saying he things 12% is the fair rate for a stores’ cut, rather than the 30% that has become standard. That’s a mammoth difference for most indies in terms of cash in their pockets at the end of the day. It puts indie publishers (the Devolvers, Good Shepherds, and Fellow Travellers of the world) in a better position. If there’s only one or two main places to promote your game most small indie developers can handle that themselves. If there’s 20, then it becomes a full time job. That’s something that an indie publisher can handle for you, and they also benefit from knowing the platform holders (and their possible incentives) better. It means competition to provide the best services for consumers, which potentially means indie exclusives on those platforms. Games that give players a reason to log in each day will be more valuable than those that are simply play once and complete. This is already a reality, but we can expect to see the gap between traditional games and GAAS increasing in the indie world. Optimistically, it can mean better outcomes for gamers and better outcomes for developers. Of course, it can also mean a fragmented mess of one-off platforms that are harder to navigate and more confusing for all. We’ve already seen the first public squabble over security between Epic and Google, and that certainly only marks the beginning. Google earn more than $20B a year from their 30% of app sales and it doesn’t seem likely they’ll give it up easily. The stakes are high and indies have little choice but to hold on and watch to see where the big publishers go — and leap on any opportunities that arise.